In October 2017 a crowd of women without children will gather in Cleveland, Ohio, site of the 2nd International NotMom Summit. www.thenotmom.com It's the only conference where you can rest assured no one will ask if you have kids. That's the truth. 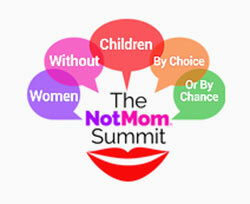 I attended the first NotMom Summit in 2015, joined by about 150 women from around the world. I guarantee that walking into a hotel ballroom knowing everyone shares the same non-maternal status is a uniquely powerful experience. Anticipating this year's conference makes me almost giddy. The conference is designed to welcome women of all ages who don't have kids. Karen Malone Wright, the dynamic conference organizer, encourages attendees to get to know each other using a different kind of icebreaker: "Are you by choice or by chance?" With that simple question, we begin to compare our experiences. Being openly invited by fellow non-moms to share our stories is novel. Inspirational even. Some might say tribal. Keynote speakers, Jody Day and Marcia Drut-Davis, represent both childless (i.e., wanted kids but didn't have them) and childfree (i.e., chose not to have them) points of view. Author Laura Carroll puts non-motherhood in a historical context, and Sociologist Amy Blackstone brings demographics to life. 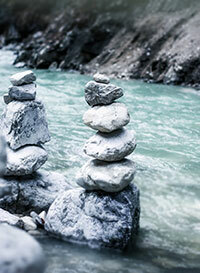 Workshops examine aspects of life that are different for non-moms than they are for moms. Like money, dating, aging, and philanthropy. Everything from the perspective of womanhood without the motherhood component. I'm on a panel called "Mommyjacking: Self Defense" with Cari Bacon from Carlsbad, California and Lauri Sanci from Toronto, Canada. We'll talk about strategies to use in those delicate situations when talk about kids dominates the conversational flow. We'll even be treated to a movie sneak preview. Maxine Trump (not related) is prescreening her documentary film To Kid or Not to Kid, which includes a number of interviews with attendees of the first NotMom Summit. I hope to see you in Cleveland, where you'll be welcomed by engaging women from their twenties to well into their seventies. Are you by choice or by chance?